Nature is full of surprises and it never fails to astonish us. There are so many poets and writers who described the beauty and richness of nature. We can never deny that the beauty of nature is massive and is diverse. As it is said, “beauty lies in the eyes of the beholder” therefore; one should have eyes to perceive the beauty of nature. We can find beauty in every part of nature. Oceans, forests, rivers, mountains etc. have so much of beauty encapsulated in them. One such beauty is Chandipur. This is a small sea resort in the district Baleshwar of Odisha state in India which is a surprise in itself. 16 kilometres away from the Baleshwar Railway Station, this beach is on the Bay of Bengal. It is about 200 km away from Bhubaneswar, the capital city of Odisha. Now, you may ask, India has so many beaches and all of them are quite rich in beauty. But what is so special about the Chandipur beach? So, let me tell you about its uniqueness. But before that, let me ask you a simple yet surprising question, have you heard about a sea disappearing in front of your eyes? You will say what sort of question is this. Trust me this is true. 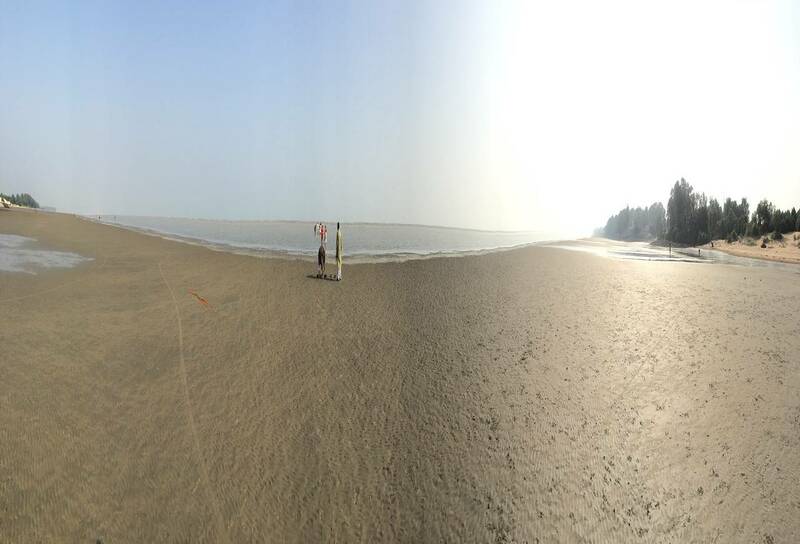 Chandipur is one such beach which is known as the beach where the sea disappears every day. Surprising! Isn’t it? Yes, this is true. The Chandipur beach witnesses the receding of seawater up to 5 kilometres. The water ebbs up to 5 kilometres during the low tide and leaves behind shells and crabs. After this, when tide raises, the water returns back to the shore. Now, this happens twice a day. Lonely Planet, the renowned travel expert has listed it as the world’s most unusual beach. It has gained immense popularity due to its ‘Vanishing Sea’ phenomenon. One can literally witness the sea disappearing to 5-6 kilometres during the low tide which returns back during the high tide. Popularly, it is called as the ‘hide and seek beach’. The beach gives you a chance to witness the epic inimitability of nature. At one time you will find water and can soothe your mental health. And at the other time, you will find no water on the beach which will further give you a chance to remember the walk on the beach. You can term it as magic if you want. This phenomenon is considered to be matchless on this coast. There’s no present time when the tide retreats, as this phenomenon is believed to depend on the moon cycle, but one thing is sure that it occurs every single day. However, the locals are well-known with the timings of the low and high surges. The dawn and dusk are most impressive at this beach, no matter whether the tide is in or out. Due to this exceptionality, the beach sustains bio-diversity. One can find red crabs and horseshoe crab on the beach near Mirzapur which is the local fish market. The horseshoe crab appears only when the water returns during the high tides. That means you can see horseshoe crabs and red crabs crawling towards you. This makes the beach worth visiting for the nature lovers. Consisting of the stretch of golden sand and coastal vegetation, the beach is surrounded by Casuarina trees. You can enjoy the perfect and soothing ambience of the casuarina trees swaying in rhythm along with the humming of rising and falling of the waves. These things together make the Chandipur beach a suitable picnic spot. A guest house which is known as Odisha Tourism’s Panthanivas is also situated here. In addition to this, Chandipur is also the home to DRDO (Defence Research and Development Organization) Integrated Research Range. Basically, ballistic missiles are test-fired at this place. You will feel proud to know missiles like Akash, Agni and Prithvi have been launched from this very place. Apart from the breath-taking views and the void left behind by the disappearing water, one can enjoy some really delicious and lip-smacking fresh seafood such as you can enjoy fresh prawns at one of the many restaurants at the Chandipur Beach. One needs to be cautious about the tides while bathing. As told above, there is no exact timing of when the tides will be high or low. Therefore, if you feel like bathing in the sea, you have to be cautious. The best time to visit Chandipur is during November and March. The tourism department is into the promotion of Chandipur beach. So, what are you waiting for?